Did you know that the National Security Agency has specific standards and guidelines for data destruction on all types of media? Most businesses don’t but that doesn’t make it untrue! You can find these destruction standards for the NSA by clicking on this link: NSA EPL Lists. These guidelines are binding for most government agencies and defense contractors, but that doesn’t mean you shouldn’t pay close attention if your organization doesn’t have to meet these levels of security. Organizations in today’s multimedia world need to pay closer attention to securing their own media types and consider these NSA evaluated products for their own media destruction programs. NSA Media Destruction Guidance. 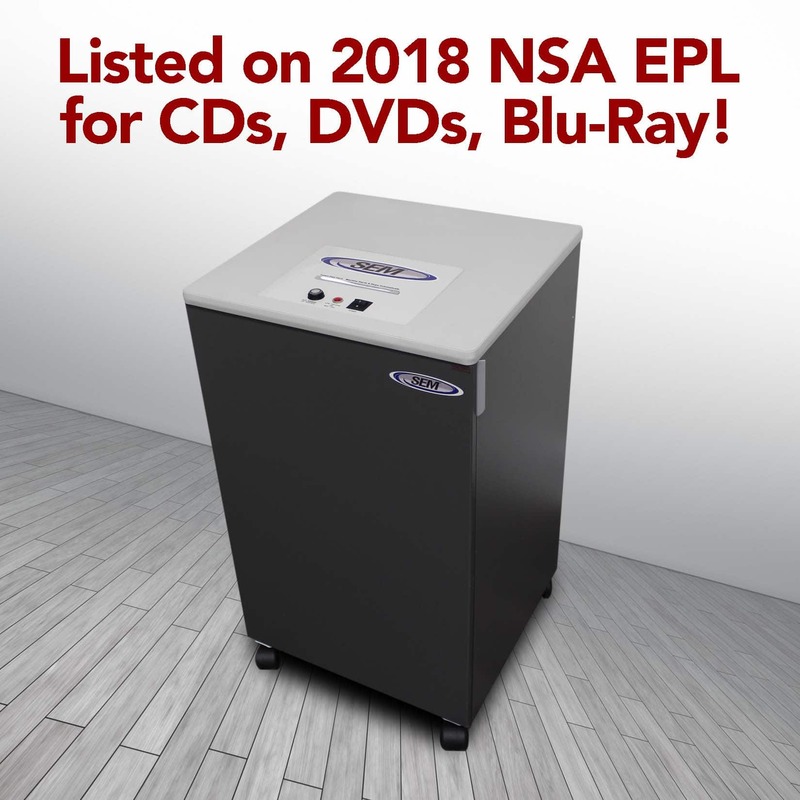 SEM’s Hard Drive Crusher Model 0101 is one of the products that has been evaluated by the NSA and meets NSA and DoD compliance guidelines for the physical damage of media. In the age of big data, sales & marketing, and financial departments alike are storing increasing amounts of customer data in order to target and analyze processes more specifically. Any of that data, if breached, could be dangerous if it falls into the wrong hands. That’s why SEM has products such as the Model 0101 HD Crusher to eliminate these risks of hard drive media losses at your organization. Take a look at this short VIDEO on the effectiveness of the Model 0101. The SEM Model 0101 meets the NSA standards, ensuring that old data on your hard drive becomes destroyed and definitely unreadable. No more fretting that your company could fall victim to a hack, instead, you can rest assure that your data was safely destroyed.